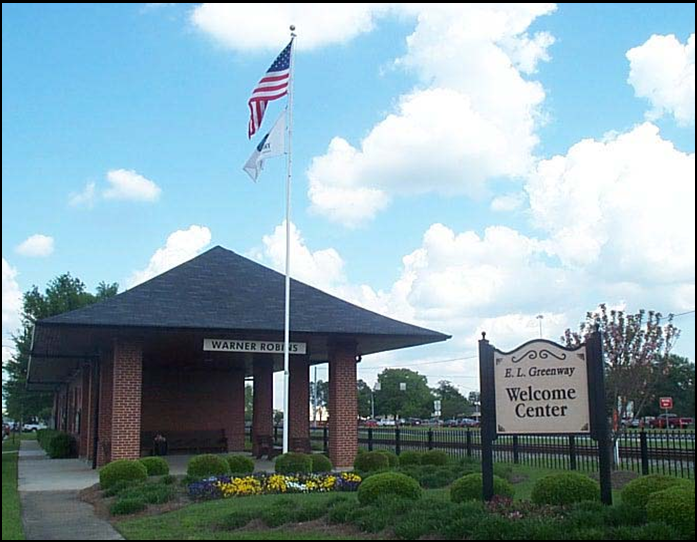 From historical and cultural landmarks to outdoor recreation, there’s so much to do and see in Warner Robins. The city is best known as the home of Robins Air Force, the Museum of Aviation, and SE Regional Little League. Visitors can “bird watch” – the silver birds, that is – by viewing aircraft traffic from the Museum’s observation deck. For railroad enthusiasts, visit “depot row” where you’ll find the historic train depot which is now the E.L. Greenway Welcome Center, designated on the National Registry of Historic Places. For a taste of “the way things used to be” visit Mildred’s Country Store next to the welcome center, full of local antiques from the days when Warner Robins was known as Wellston. The historic Southern caboose and the Elberta Depot Heritage Center are there to learn about local history and the link to the railroad. Residents and visitors alike agree that not only is Warner Robins a great place to work, it’s a great place to live and play in timeless Southern comfort, yet modern city vibrancy. If you are visiting the area, you can view our helpful list of area attractions to help plan your stay.